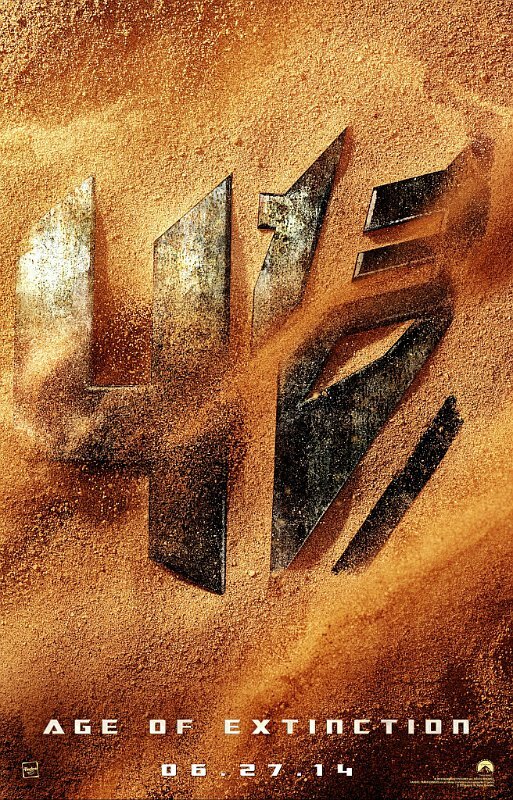 Rock and sand surround the numeral 4 on the left, with part of a Decepticon mask on the right showing through the landscape. This might seem a silly question, but trust me, that's never stopped me before: is the sand "hiding" the Decepticon mask, or is the mask coming unburied, maybe through the action of the wind? This would involve, once again, dear readers, the theme of resurrection we were just discussing yesterday with Riddick to be released this weekend (please see below for discussion on Transformers 4 filming in Monument Valley and more on the theme of desolation). If the Decepticon mask is in a state of being buried and forgotten, then someone will intentionally be going to look for it, someone who will be a prime mover (in Aristotelian terms) of the film's events, OR--as the trailer for The Hobbit: Desolation Of Smaug tells us--evil always reveals itself, and the Decepticon mask might, like the White Orc, be revealing itself in the same manner. Now, we have also had this discussion before, two years ago, regarding films like Halloween and Nightmare On Elm Street: why do the villains never die? Why do they keep coming back, regardless of how you kill them? We see the same "invincible" evil in GI Joe Retaliation with both Cobra Commander and Storm Shadow (come on, even Storm Shadow totally should have died at the end of GI Joe, frozen in that Arctic water?). Evil doesn't die, not because it is invincible, but because, one, we require it to further advance in virtue and, two, that evil depicted is always the evil all ready in us, lurking in the dark, remote places of our soul and mind. Even in films that aren't made by Christians, or have a particularly Christian theme to them, the hero always has to overcome his own weakness, his own sin (like Hercules: The Thracian War for next summer) and until he does so, he doesn't have power to vanquish the evil because only the strength of virtue can vanquish the slavery to evil. So, that's why the Decepticons still haven't died, so new heroes can find new virtues within themselves and rise to new challenges and be a new source of inspiration to us in our own lives. How can we know this is what the film will do? Look, if you will, at the "4" in the poster above: there is a part of it that is shiny (virtue), in spite of the part of it obviously corroded (sin), whereas the Decepticon mask we can see is dark and corroded. The rest of this discussion, and there is more, is continued below in the caption for the Monument Valley photo. So, what happens in the film? They haven't released much, as of yet, but we do know that Shia LeBeouf will not be returning, rather, Mark Wahlberg will play the lead and Stanley Tucci has also joined the cast; we do know, from casting information, that Wahlberg's character's daughter is an important part of the plot, and she has a boyfriend who is a race-car driver,... well, imagine that; quite a bit of the film will take place in Chicago, four years after the events of Dark Side Of the Moon. The three leads of the film have been contracted for three films. Likewise, Dinobots (robots that transform into dinosaurs, like a T-Rex) will be returning as is director Michael Bay. There was a rumored storyline floating online, however, that has been dismissed. It would take someone who really doesn't like movies, or someone who hasn't watched a film in at least two years, to not notice how incredible the quality of films coming out of Hollywood have been; there have been some bad ones, without a doubt, however, there have been some truly amazing films, and that appears to be continuing. Why? When critical events strike a culture, it's the artists who tell us what is really happening, how we should react, how it effects us and what it's doing to our culture; because of the turmoil wrought by the Obama Administration, films are desperate to tell us who we are and why we are who we are and what is happening to us and what we need to do about it. I have no doubt that a film about cars will reflect what has happened to the American car industry; if you don't think Detroit, Motor City, declaring bankruptcy is a big deal, you probably don't think about much. In some way, either by the absence of "American" cars in the film (they are all supposed to be aliens, but come on, we know an American muscle car when we see it) or by cooler, foreign cars being the ones who catch our eyes, like the Bugatti Veyron (the fastest street-legal car in the world) or a Chevy Corvette Stingray concept car to make us swoon with excitement, not only cars--and America's place in that international super-market--but gas, will play an important role: are they Obama's Volt cars that run on electricity? Doesn't sound like it, so are they going to run out of gas because gas prices are so high? Possibly. These are all possible themes which a film about cars and racing could introduce to reflect our real, day-to-day lives in spite of how fantastic the story line might appear to be on the surface. Look familiar? If you have ever seen a western, you've seen Monument Valley, Utah, where filming has all ready started for Transformers 4: the Age Of Extinction. What else do we see? We could say, nothing, and be accurate. Just as we were discussing yesterday the important role "desolation" has been playing in narratives as of late, so there is abundant desolation in such a location as this (especially when an isolated location with no real signs of human habitation is contrasted against a city scape). Comparing the official film poster at the top with this image, we can say that we do see lots of dirt/sand. Why? Of all the decorative and endless possible backgrounds for the first impression poster of a $165 million film, why choose sand to set the stage and tone? Because nothing grows in sand. Just as we saw Riddick (Vin Diesel) walking through a desolate, sand-blown alien landscape in yesterday's post, now we are seeing two symbols (the 4 and Decepticon mask) of a forthcoming film emerging from/sinking into sand, and it could be a struggle, one rising as the other sinks. 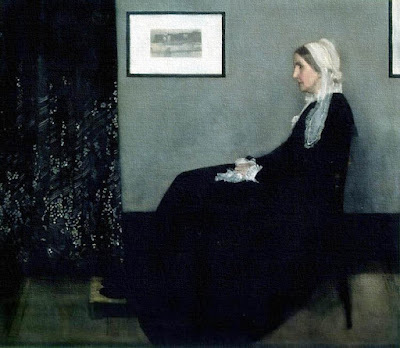 Anyway, nothing grows in sand: from the point of virtue, it's not that virtue "grows" in sand, rather, as the earliest ascetics knew, you retreat into the desert because evil can't hide in the desert (I could really turn this line of analysis into a tangent, but I won't). Evil can be purged when someone isn't being distracted by other things, and when one isn't being distracted, one is free to become more of yourself, like Riddick who becomes stronger being on the deserted, alien planet. Virtue becomes stronger, but evil is revealed to be truly evil, the glamor or power or allure--whatever you want to call it--is stripped away in the harsh environment and it can't stand up to the elements or defeat a virtue that has been made stronger through being purged of weakness.